The second of the Christmas trees is up as Janet and Lorelei transform the building into a holiday showpiece. 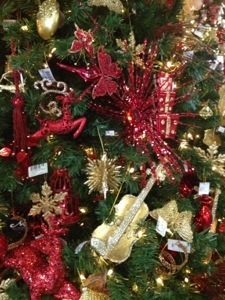 This is the Red and Gold tree. 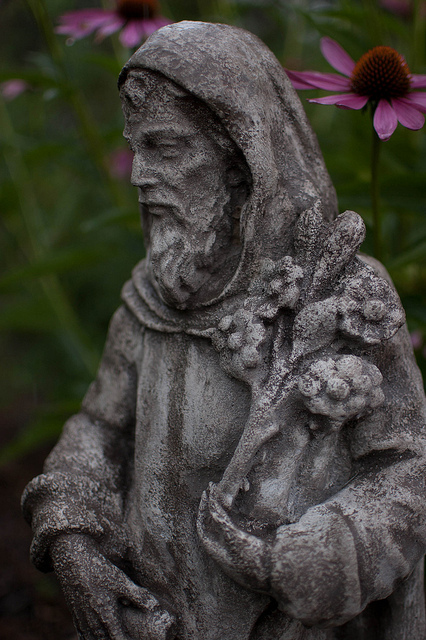 St. Fiacre, the patron saint of gardeners, lived in the seventh century and was known for his skill in gardening, herbs and healing. 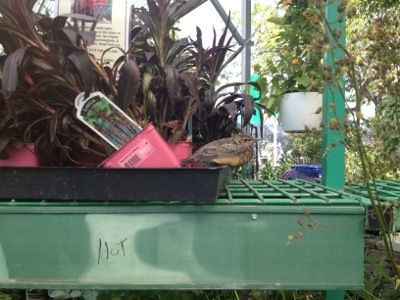 Greenhouse has charming 24″ statues of this saint perfect for your garden. Hey, we could all use a little help in this climate! 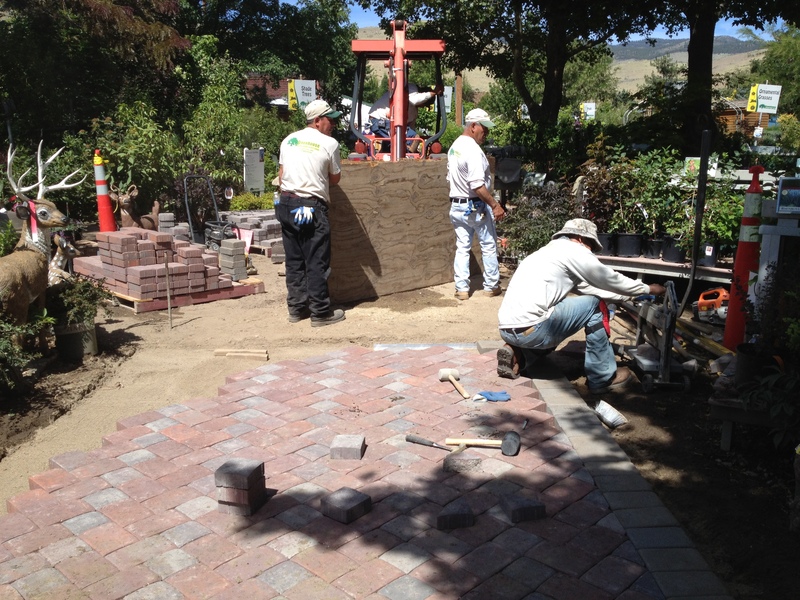 Good things are happening at Greenhouse Garden Center! 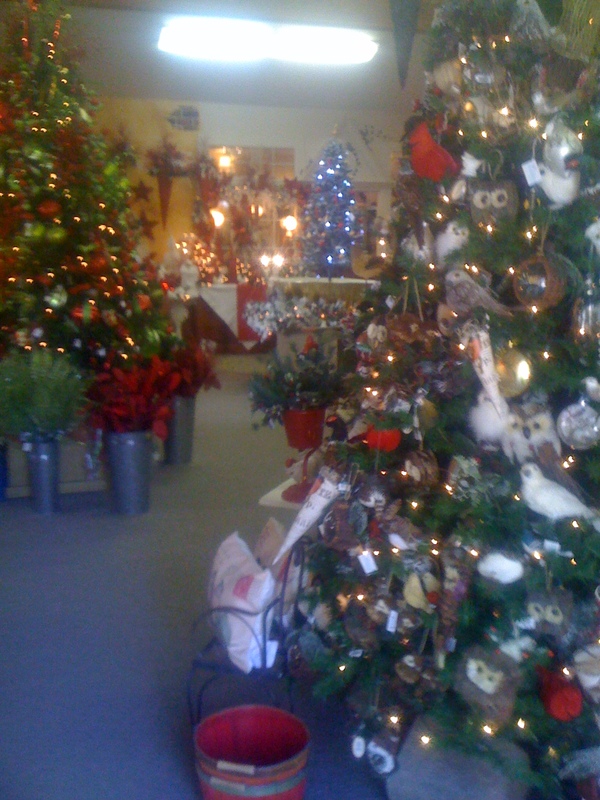 The Greenhouse elves — aka Janet, Lorelei and Sondra — have outdone themselves with this year’s Christmas display. Mark your calendar for the Open House on November 10th and 11th, but don’t wait until then to come visit. 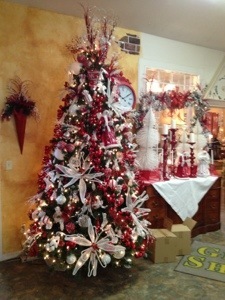 Gifts, holiday accessories, decorations and inspiration await! 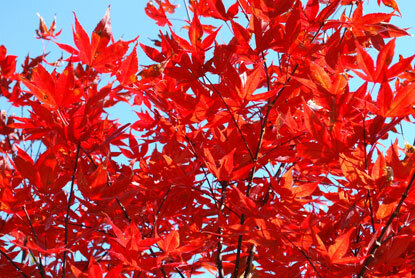 The Japanese maples at the nursery are beginning to change color with the cooler weather. Beautiful at all times of year, their fall color is outstanding! Fall is not just about fall flowers and colorful leaves – many plants set fruit in the fall, including coralberries, snowberries and serviceberries. In the nursery this October we are enjoying the colorful coralberry ‘Amethyst’ and the porcelain vine, both putting on a fall show of berries.